There’s a hole in the middle of the Yankee pitching staff — it’s their number 2 starter. They don’t have one. 1. Masahiro Tanaka (14-4 3.07) pitched like an ace this year. Almost led the league in ERA (finished second). 3. CC Sabathia* (9-12 3.91) had a nice comeback season, and finished STRONG. 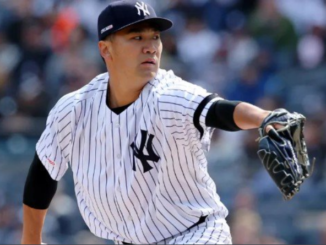 His comeback started at the end of 2015 (a season when he led Yankees in Innings Pitched), took a hiatus in late June/early July 2016 (when he was allowing 5 runs a start), but by end of year CC was the best Yankee pitcher, throwing down shutout ball into the 7th or even 8th inning. See game log. 4 and 5. Luis Cessa (4-4 4.35), Bryan Mitchell (1-2 3.24), and Chad Green (2-4 4.73) all looked good and at times very good down the stretch for the Yankees. Some say these three will battle it out for the 5th spot in the rotation; I say they battle it out for both the 4th and 5th spots. Cessa came from the Mets organization (via Detroit, Cespedes trade) — by itself a factor providing pedigree these days. Cessa was at times brilliant in 2016, and showed moxie in tough situations. Check out his game log — by end of year he was a consistently good starter. Mitchell reminds me of Fritz Peterson for some reason. Maybe it’s the floppy hair. The lanky Mitchell has a curveball that MOVES and a 95-MPH fastball that moves too. He is fun to watch pitch when he is pitching well. After missing most of the year with a turf toe injury, he looked good down stretch including 7 shutout innings in his last start (game log). Bryan Mitchell pitching 7 shutout innings vs Boston late in 2016 at the Stadium. Chad Green also looked good for the most part before going out with a sprained ulnar collateral ligament and a strained flexor tendon in his right arm in late August. Green had a spectacular 6 shutout inning, 2-hit, 11-strikeout, 0-walks performance in August against Toronto (game log). He also dominated in the minors; promoted after going 7-6 1.52 in AAA Scranton/Wilkes Barre with 100 strikeouts in 94 innings. Green was acquired along with Cessa from Detroit for Justin Wilson. Great trade Brian Cashman. That leaves a hole at #2. The Yankee pitching staff screams out for a #2 starter; another ace. Nathan Eovaldi (9-8 4.76 and not a #2 in any case) will miss all of 2017 coming back from Tommy John surgery. Michael Pineda is not a #2. If his slider is sliding, he is awesome; if it isn’t, he is pinata. He’s 27. He was 6-12 4.82 in 2016. He didn’t last thru the 5th on so many occasions, putting strain on the ballpen. When his slider was sliding, he was a strikeout machine. Finished with 207 strikeouts in a career high 175 innings. Wow. 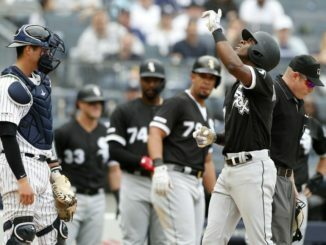 But Joe Girardi was impatient with him late in the year, yanking him with 2 outs in the 5th on two occasions when one more out would have given Pineda a chance to get a win. From that I’d bet the Yankee organization has worn out its patience with him as well. Big reliever — big question mark. Is Dellin Betances a closer? When thrust into the roll this year after the trades of Andrew Miller and Aroldis Chapman, Betances bombed. He said his mechanics got screwed up. 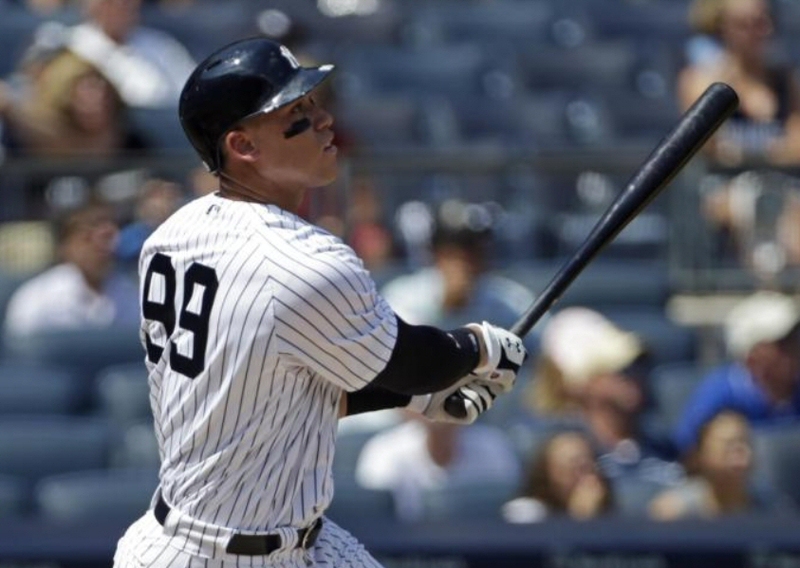 Other teams were running on Betances late this season — and in the blink of an eye the American League seemed to find his achillies heel — if you get on base, run run run on him. This may have caused his mechanics problems. He will need to work on his pickoff moves this winter. Luis Severino looked Great as a reliever. Terrible as a starter. But the Yanks want him to be a starter. We’ll see. Prediction: Severino becomes the Yankee closer at some point. Adam Warren. Nice to have him back, from the Cubs. Looked good at first, then started coughing up runs to make Yankee fans understand why Cubs wanted to get rid of him. Then righted himself and looked like the old Adam Warren down the stretch. Jonathan Holder — lights out in the minors in 2016, moving from A thru AAA to the majors. 23 yrs old. Could be a big part of Yankee ballpen in 2017. At AAA Scranton/Wilkes Barre, he pitched 20 innings, allowed 7 hits, struck out 35 and had a 0.89 ERA. 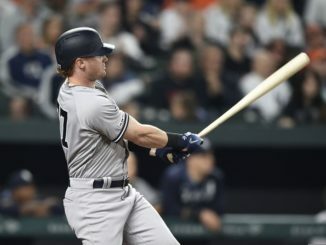 Prompting Yanks to promote him immediately despite risk that doing so forces them to protect him on 40-man roster this winter, and may cause loss of another player. Maybe they’ll leave Brian McCann unprotected. 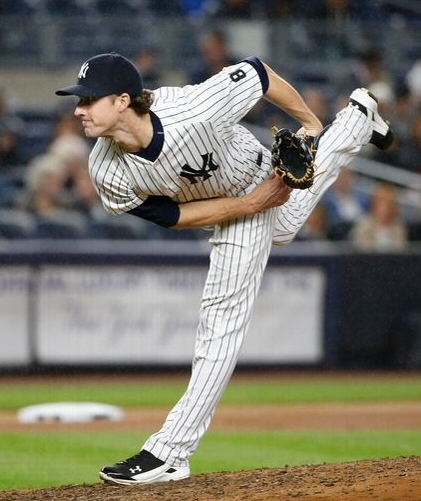 Tyler Clippard — Great at first after joining Yankees post Miller/Chapman trades. Allowed some runs in late-season appearances but may be back for 2017 as a 7th inning man. Richard Bleier*, Tommy Layne*, Chasen Shreve* — The lefty relievers. Layne passed Shreve as lefty reliever of note in Yankee pen by end of year; and Layne himself was passed by Richard Bleier.”He gets outs” is what Joe Girardi had to say about Bleier at close of season. Ben Heller, James Pazos, Blake Parker, Kirby Yates, Anthony Swarzak — the Yankees seemed to have an unending reservoir of unknown pitchers in their ballpen this year. Some will be back; some won’t. And there will be ‘others’. As there always are. Justus Sheffield* — lefty starting pitcher that Yankees got from Cleveland in Andrew Miller trade. Now the top pitching prospect in Yankee organization. First-round overall pick #31 in 2014 draft. Pitched well in Tampa and AA Trenton for Yanks last year. Scheduled for AAA in 2017. James Kaprielian — 16th overall pick in 2015 draft. Expected to become a starting pitcher. Did well in Tampa in 2016. Dillon Tate — #4 overall pick in draft in 2015; the guy Yanks got from Texas for Carlos Beltran. Projected starter. Still in single A; had a horrible year in single A in 2016. Of course with pitching you never know. “You never have enough pitching” said Gabe Paul the Yankee GM once. 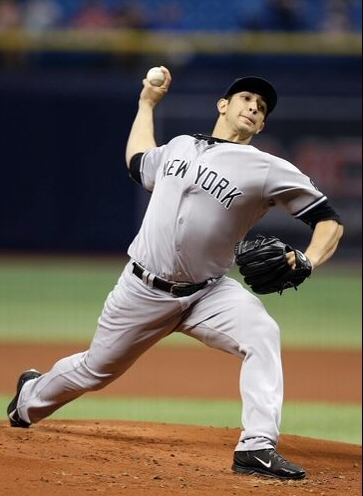 In 2016, Yankee pitchers Nathan Eovaldi, Nick Rumbelow, Branden Pinder and Jacob Lindgren all underwent Tommy John surgery. Yankees need a #2 starter. The ballpen may be ok if Severino is there to catch Betances if he falls, and Jonathan Holder is as good as anticipated. 2017 will be spent learning if Severino is to be a front-line starter and if Cessa, Mitchell and Kaprielian are ready to be rotation pieces. the Yankees have MANY arms suitable for the pen and signing Chapman or another closer is all that is needed there.